Available in an array of options for materials, shapes, sizes, and colors to suit various décor solutions, outdoor umbrellas are a useful décor element. Umbrellas are not just for covering up on rainy days! 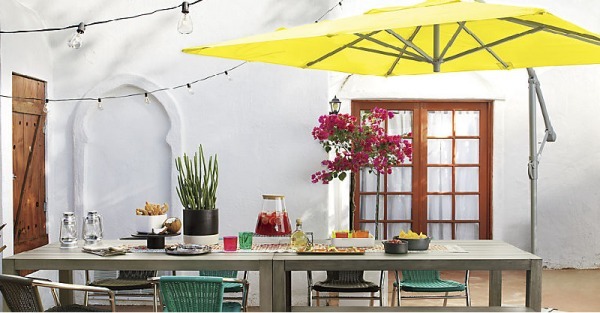 Garden and patio umbrellas serve double: they keep you cool and comfortable on hot days and keep sun and moisture off your outdoor furniture. 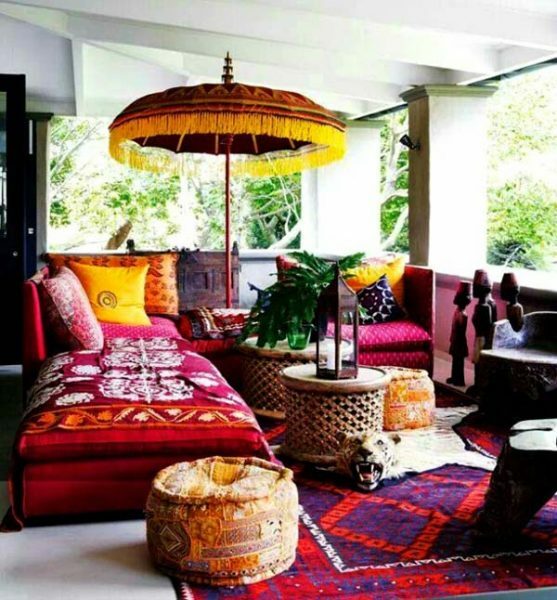 Plus, they can add color, visual interest, and personality to the space. Not to mention that complemented by a hammock they make a charming retreat where to relax in privacy! 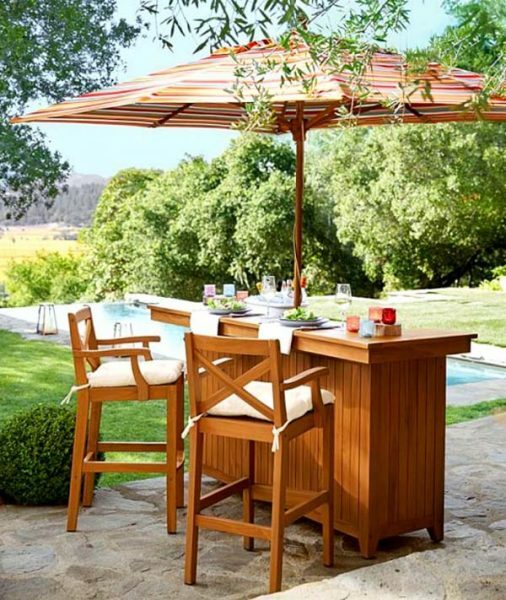 Whether in the patio or around the pool, freestanding or grouped with a table and chairs, umbrellas add to the functionality of outdoor living and help take advantage of warm weather. Furthermore, it adds extra color and touches of modernity to the outdoor space. 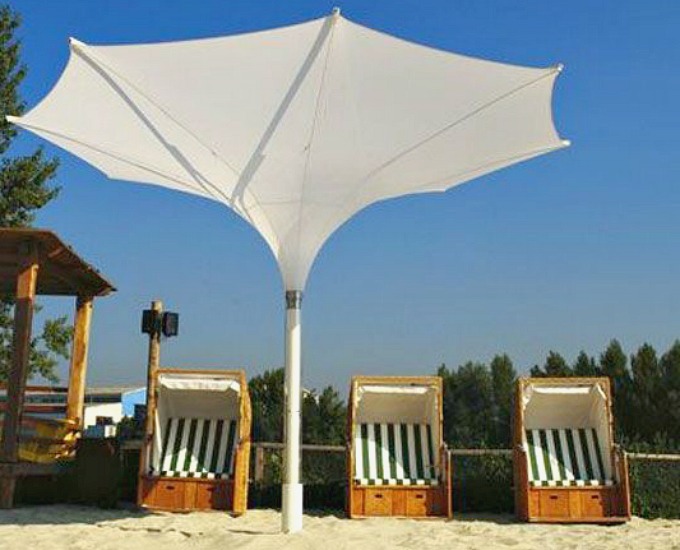 Not to mention that modern umbrella designs allow being angled over where a shade is needed. Whether tulip-shaped or in a simple circular shape, these contemporary design solutions add both functionality and visual interest. Note that you can arrange hanging, brightly colored umbrellas upside-down from the tree limbs. 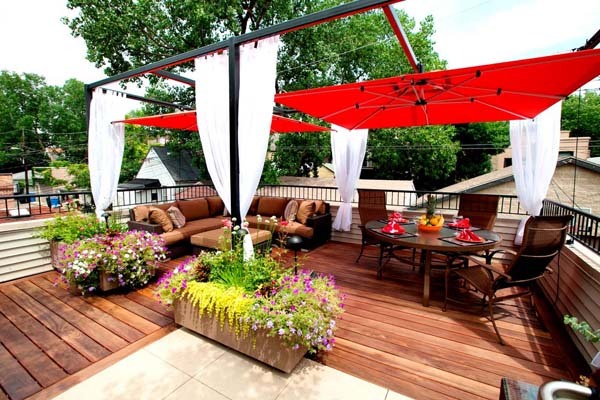 Just imagine the contrast between the greenery and the colorful umbrellas! 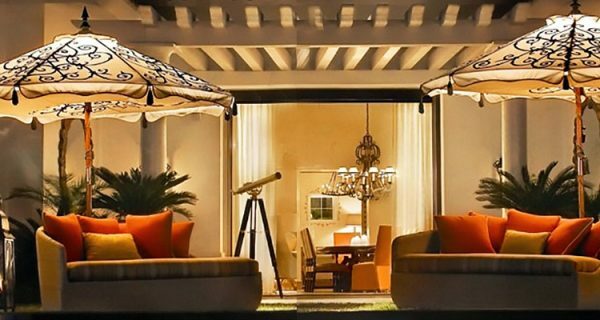 This is a simple yet beautiful, spectacular way to create a shady spot and a style statement. 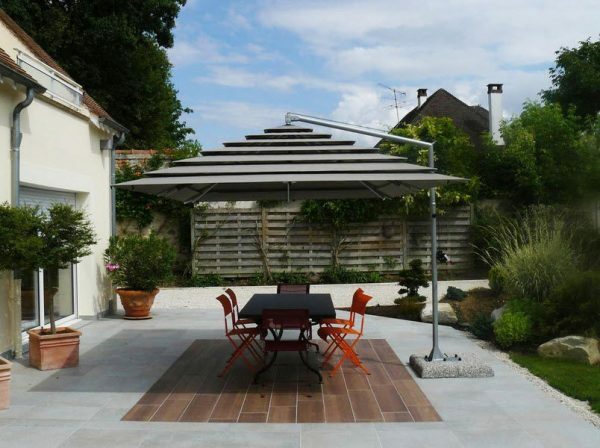 Note that you can use umbrellas not only to shade outdoor dining tables and seating arrangements.